Ford has announced that it will return to Le Mans in 2016 with Ford GTs and Michelin as its exclusive tyre partner. 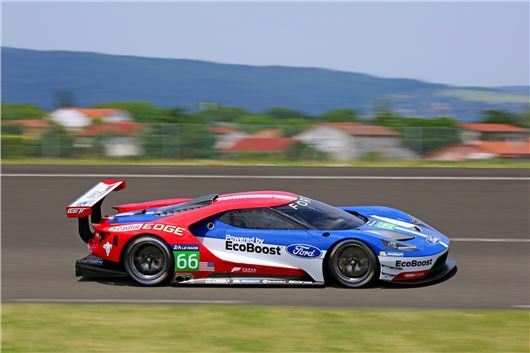 Ford will have two cars at Le Mans as part of the FIA WEC series and in 2016 hopes to enter four EcoBoost®-powered Ford GT cars at the famed endurance race that it won four times consecutively, from 1966 to 1969, with the Ford GT40. Ford will compete in the Le Mans Grand Touring Endurance Professional (LM GTE Pro) class against other manufacturer teams including Corvette, Ferrari and Porsche. Cars in this class must adhere to strict tyre usage rules with just eight sets of tyres allocated for free practice, qualifying and warm-up and a total of 16 sets for the race itself. Michelin has partnered with 23 overall race winners, including the last 17 consecutive victories, and every winning entry in the GT class since 2007. Michelin tyres are also found on the Ford GT road car which was unveiled at the 2015 North American International Auto Show. The all-new Ford GT supercar will exclusively feature MICHELIN® Pilot® Sport Cup 2 tyres.